Support for OpenAPI 3.0 specifications written in YAML or JSON. 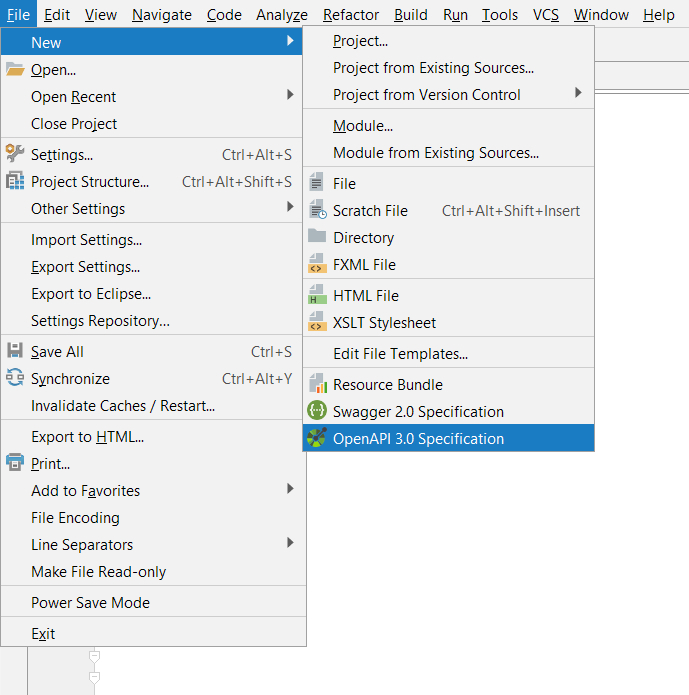 Create a new OpenAPI 3.0 specification from the ‘File > New’ context menu. – Property values with a fixed amount of values, e.g. the styles property where, depending on the parameter location, values can be form, matrix, simple, label, spaceDelimited, pipeDelimited or deepObject. – Suggested values for media types, HTTP status codes and software licenses. Insert template for required properties and fixed values, e.g. 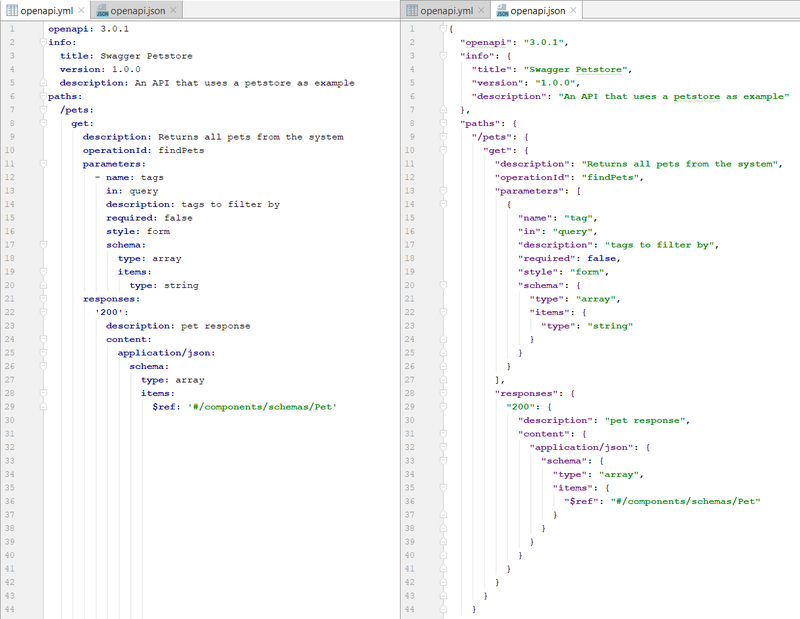 when you choose ‘tags’ from the completions, a new tags array is created with a new tag object. – Valid type, e.g. show an error when a string is defined, but a number was expected. Some objects have mutually exclusive properties, e.g. a parameter object can have either an example or examples definition. – Required properties, e.g. a server variable object must have a default property. Make sure the value is in the right format. This applies to the server object url, other url values and emails. A schema object must not have both readOnly and writeOnly marked as true.